In today's world, it is more important than ever to keep connected. It can be a challenge to get everybody together for collaboration in the workplace, in study groups and even for event planning. Solaborate has come up with the perfect solution with their line called HELLO. 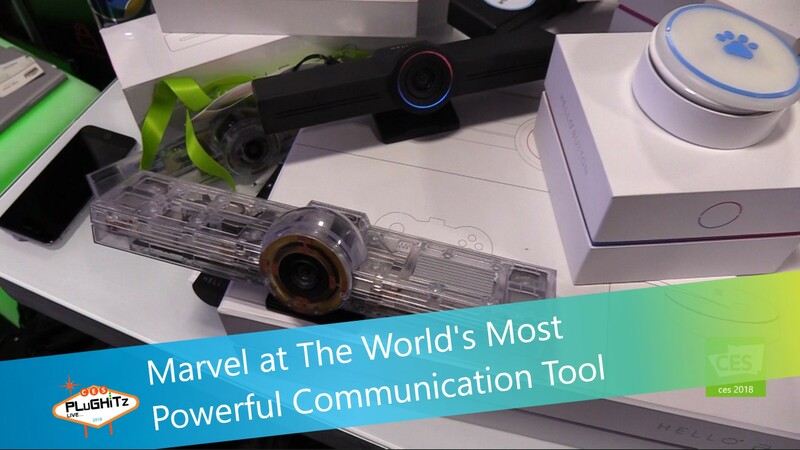 This is not just video conferencing; their products put everything you need to effectively communicate, collaborate and create right at your fingertips. It truly could not be easier. HELLO first debuted last year as a convenient cross-platform application that allows you to push voice calls, video calls, text messages, live broadcasts, or any other compatible streaming content to your TV by just a swipe on your phone or tablet. And in just one year, they are coming out with a suite of improvements and products to make that communication even better. With Amazon Alexa and Google Home technology built right in, the 2nd generation, HELLO 2 has also added speakers, touch and auto tilt and hack proof privacy controls. Also added is an array of form beaming microphones for better sound quality, as well as whiteboard and additional screen sharing capabilities. Coming soon is Hello Touch, the smartest and most affordable 4K Touch TV Powered by HELLO 2 that facilitates real-time collaboration, whiteboarding, video conferencing and wireless sharing. Also coming are Gadget Extensions that include a Controller to aid in gaming and a Hello Button, which is a re-programmable smart button that allows you to control things around you with one simple click. As part of the open platform, they are also introducing HELLO 2 Creator Edition, which is designed specifically for the developer community. Because the more open collaboration, the better, to bring as many working uses to this amazing and flexible platform as possible. The first generation of HELLO is currently available on their website and on Amazon for $299. All off the second generation products will be offered on KickStarter in just a few weeks. Keep an eye out for them and let us know what you think.